In this month’s paint corner, I’ll be discussing the importance of caulk and sealants, and which types to buy for your specific project and goals. When you visit lumberyards or supply stores, wide variety of caulks and sealants may lead you to believe that any of the products will do the job. Unfortunately, that’s incorrect. Caulking and sealants may only be a small part of a job, but they make a huge difference. Choosing the wrong one could mean trouble and I want to help you avoid these particular instances. Spending an extra dollar or two will pay big dividends in the long run since low-grade caulk or sealant can causes a lot of problems such as water leakage. 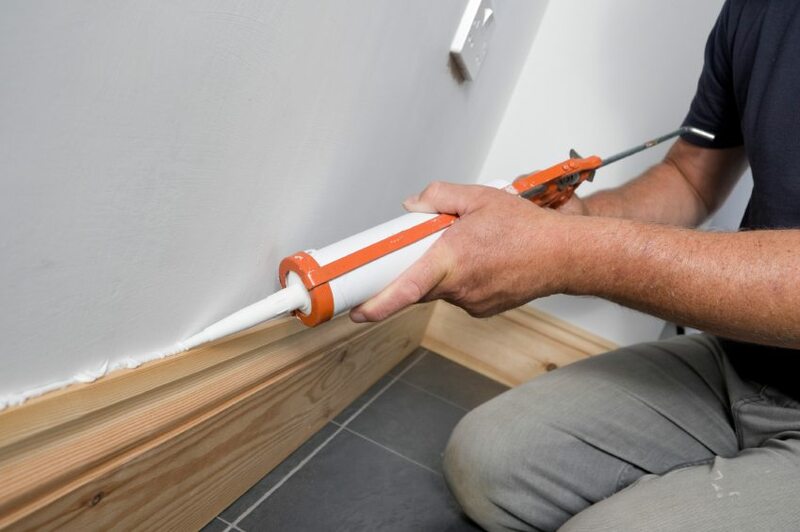 In order to identify what kind of caulk and sealant your job requires, you’ll first need to assess your situation and know exactly what you’ll be doing. For example, if you have an extreme moisture problem such as exposure to driving rain or pooling water, a latex or water base caulk will not work. You would need a sealant that was made for this problem. Now, a lot of stores carry paintable caulk, which is great for any job. Remember, if you use a silicone caulk, the paint will not stick. The silicone has oil in the bead, which prevents the paint from sticking. A high quality water-based or non-silicone caulk will work the best for this situation. Only use silicone caulk in places where no painting will be done. Finally, make sure the caulk you’re choosing is flexible as most houses, buildings and windows move, expand and contract. Most caulk can’t handle this movement and ultimately will crack and fail. The best way you can avoid this costly mistake is to buy an elastomeric caulk that is formulated for extreme joint movement. I hope this advice helps you choose wisely when searching for the caulk or sealant that best fits your job. If you have any problems, call me at 618-972-9516 or email me at bgarleb@gatewayfs.com. Happy caulking and sealing until my next topic! It’s Time to Prep for Wheat Harvest! It’s already June, which means wheat harvest is just around the corner. Now is the perfect time to start prepping your storage facilities and making sure all of your equipment is geared up and ready to go. Your equipment should be updated, working properly and running at the best to help maximize your overall wheat count this summer. Farmers should prepare first by performing routine maintenance on all systems while equipping and adjusting their combines. You’ll want to make sure that everything is prepped and running properly so you don’t run into any problems or issues during harvest. 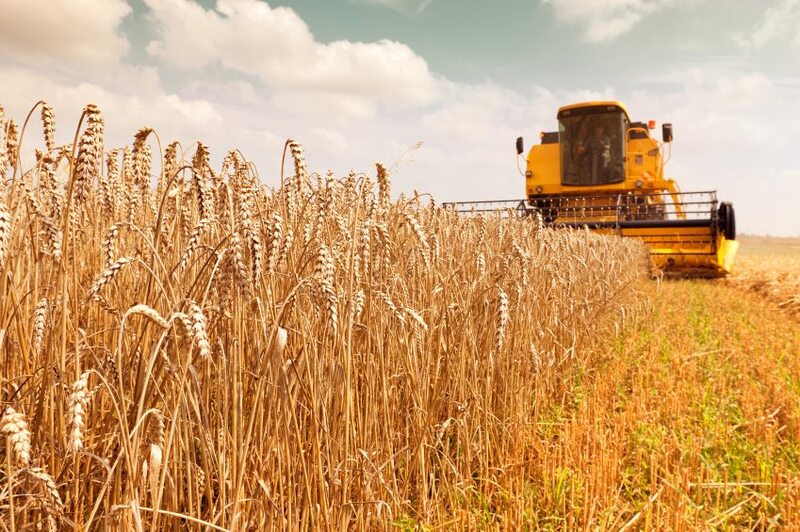 Test running your equipment prior to harvest is key to fixing any problems and eliminating the risk of breaking down in the middle of the job. Another way to prep for wheat harvest is to make sure you check all your drying and storage facilities as well as your aeration systems and fans. Emptying, cleaning and removing traces of any previous crop in your bins is extremely important. If you experienced any mold or spoilage after last year’s harvest, that may be a good indication that your drying system isn’t working properly or fast enough to dry your crop evenly. We encourage our customers to plan now and be ready. Whether it’s an auger, new parts, new additions or an entire grain system update, we’ll help you to find the best option to fit your grain system needs in time for wheat harvest. To ensure the best overall outcomes of your crop this wheat harvest, start inspecting your systems right now! If you need additional assistance, contact FS Construction Services at 866-551-3454 to get in contact with our grain system specialists.